For well over a decade, the debate about whether or not video games can be classed as a form of art has circulated amongst gamers, parents, critics and even philosophers. While this debate has persisted there has still been no definitive answer as to whether or not this medium can be classed as a form of art and this is rightly so. For many, the word “video game” is a term that people relate to shooting, killing, profanity and a pure waste of time with some renown critics even stating that “video games represent a loss of those precious hours we have available to make ourselves more cultured, civilized and empathetic”. With this being the general consensus on video games, how can one even begin to declare that video games are a form of art because as it seems, video games are just another mindless activity that stunts a person’s personal growth and dare I say, make them a bad person? As a passionate gamer and former student of Game Design, I strongly disagree with the critics stance on this matter and agree that video games deserve to receive acceptance and recognition as a form of art. But before I continue I would like to address the statements made above as it is quite evident that some video games do fall into the categories of uncultured and purely escapist entertainment. But it is ultimately very important that people do understand that many video games do hold artistic elements such as emotion, intent, skill of the creator, and beauty. These video games alone have the power to prove that this medium has the ability to show artistic expression. 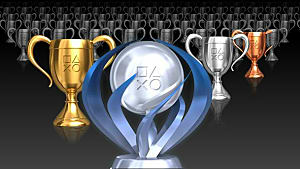 So the question still remains, can video games be art and if so, what allows them to be classified as an art form? Before we can begin evaluating video games as a form of art, we need to understand what art actually is and how it can be defined. Many philosophers wonder whether Art can even be defined. Defining a topic such as Art would generally be conceived as a fairly simple task, but in all honesty, it is far from simple. Art is a word of many definitions or no definition at all. Written in the Stanford Encyclopedia of Philosophy it is discussed that the definition of art is controversial in contemporary philosophy with many wondering whether art can even be defined. Other Philosophers have also debated the usefulness of a definition for Art and wonder if it is even needed. With that being said, Art is a debate purely of its own but I thought it would be essential to show this side of the argument as Art can be perceived in a number of different ways with no definitive right or wrong answer. The second definition that will be used is from Dictionary.com in which they state that Art is “The quality, production, expression, or realm, according to Aesthetic principles of what is beautiful, appealing or of more than ordinary significance." Typically, art is always broken down into its classical forms of Painting, Sculpture, Architecture, Music and Literature. 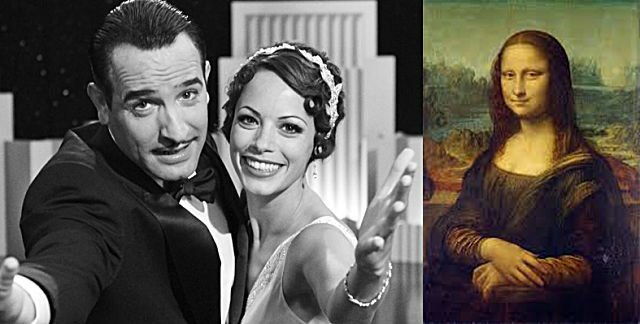 One of Video Games closest forms of art, Film, had gained their acceptance as an art form purely because they showed key elements of arts classical forms. By saying this and analyzing the definitions above, one can quickly come to the conclusion that Art consists of two key elements. Uncharted 4 uses the techniques of sculpture and architecture throughout the game. Form and Content are the two key elements that make Art. Form can be described as the works style, technique, media and how the elements of art and principles of design are implemented. Content is more idea based as it refers to the works essences, it’s meaning and ultimately how it impacts the viewer. 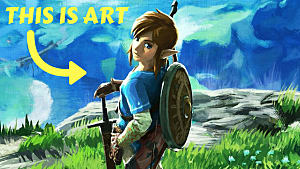 After defining art and analyzing what key element make up art, one can easily start to question why Video Games are not among the list of official art forms as they do hold a number of key elements that were discussed above. Now that we have a better understanding of what Art actually is, we can begin to examine Video Games as an Art Form. What Makes Video games Art? To determine whether or not a video game is a form of art, we must firstly evaluate both of the arguments that are for and against this particular topic. To do this, I will be taking the opinions of critics, game developers and gamers to help determine whether or not video games can be a form of art and if so, what core elements are needed for them to be classed as such a form. To begin, I will be evaluating the response from a renowned film critic, Roger Ebert, who had a very strong opinion on this matter. Roger Ebert was a writer for the Chicago Sun-Times and had written a blog post on his website in 2005 stating that “Video games by their nature require player choices, which is the opposite of the strategy of serious film and literature, which requires authorial control. I am prepared to believe that video games can be elegant, subtle, sophisticated, challenging and visually wonderful. But I believe the nature of the medium prevents it from moving beyond craftsmanship to the stature of art.” This statement at first glance seems to be reasonable and justified until one begins to look deeper. Upon further consideration, we would easily begin to question this statement made by Ebert due to the simple fact of viewing art work that has intentionally indistinct meaning. One prime example would be to ask someone to look at a painting and attempt to establish a meaning from it. Upon doing this, the viewer will begin to actively participate in the enjoyment of that particular art piece. By allowing the viewer to establish their own interpretation of this particular art piece, the artist is essentially handing over authorial control to the viewer. Remember the cliffhanger at the end of the Italian Job? Authorial control was handed over to the fans to interpret how the film ended. The same can be said with any film that contains a cliff hanger ending as this particular ending allows the audience to form their own conclusion on how the film is supposed to end. Although the ending may be open ended for the viewer to interpret, the filmmaker or potentially artist that created the film would have indeed had an ending of their own. Hence, if this ending is not the same as the viewers, the artist has then handed over authorial control to the viewer. Does this mean that a vast majority of films have suddenly lost their title of art? Unlikely in Ebert’s opinion. 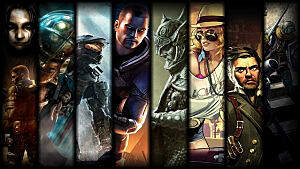 However, in Ebert’s statement he believes that video games provide the player with far too much control. This however, is far from the truth as video games provide the player with the illusion that they can do whatever he or she wishes. This could include but isn’t limited to: Exploring their surrounding environments, interacting with optional prompts or even choosing different methods to play through the game. Every action, or seemly every time that the player feels free to do whatever they wish, is intentionally determined by the developer as they use a complex set of unseen rules, technical boundaries and art assets to ultimately form a game. Although the player may feel to be free to do whatever they wish, they are actually still following the authorial control set by the artists that developed the game. With this being said, one can easily begin to question the credibility of Ebert’s statement as one of his core arguments in the matter is suddenly flawed. A scene break down from Life is Strange of all the possible conversations during this particular chapter. Another challenge that video games face is in relation to their artistic values as many argue that since video games are interactive they cannot be compared to the likes of literature or film as the viewer only observes and does not partake. 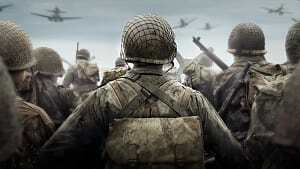 Renowned filmmaker Steven Spielberg has voiced his issues with video games as he believes that “The second you get the controller, something turns off in the heart”. This statement suggests that the moment we pick up a controller, we begin to distance ourselves emotionally from the game. He also seems to imply that the level of interactivity that we partake in, within a video game, alters the connection we have with not only the story but the game as a whole. Steven later went on to state that “I think the key divide between interactive media and the narrative media that we do is the difficulty in opening up an emphatic pathway between the gamer and the character — as differentiated from the audience and the characters in a movie or a television show.” This key divide was then referenced as a "great abyss" as he believes video games core function, game playing itself, is part of the main problem. 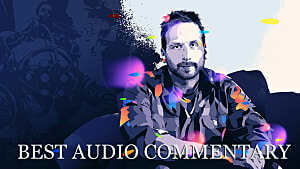 If Steven believes that interactivity, the core basis of what video games are built around, is the main reason for preventing emotion, then as a result, how can video games be classed as an art form as all definitions state that art is the process of evoking emotion or significance from its audience. If this is the case, then Steven believes that video games cannot be art and will never be art until the issues surrounding interactivity are solved. But what if interactivity is what makes video games so powerful to begin with? 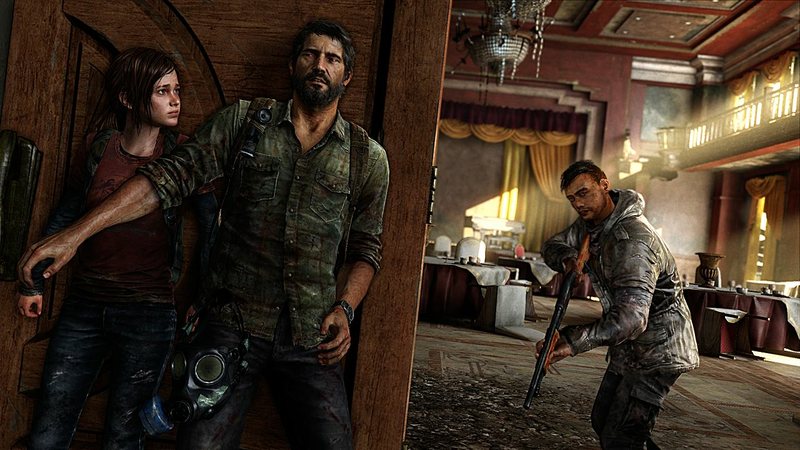 Naughty Dog, a veteran game development studio based in Santa Monica, has been responsible for producing some of the industry’s most iconic games, such as one of their most recent releases, The Last of Us. This game was one of the most groundbreaking video games to date, as the developer has proven that video games can possess many artistic qualities. Not even 20 minutes into The Last of Us and Naughty Dog has us feeling emotionally attached to a character we have only just met. Steven also continues to explain that even the most emphatic experience within a video game can easily lose the artists authorial control as he showcases one of his experiences of a video game. “As players started to play the game they stopped looking at the baby as a human being and they started looking at the baby as a score… So they were looking at the numbers they were racking up, and the baby became parenthetical to the calculation in scoring more points than your friends and being able to brag about it at school the next day." 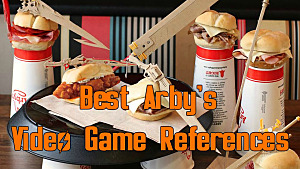 This is a great example to bring up as certain games allow for player choices, making them the prevalent reason in the overall outcome of the game. This, if not developed correctly, can break the immersion and often remove the player from the experience they are receiving. Thus, losing the emotional connection they once had with the character in favor of receiving a high score. However, this is not the case for all video games, as games such as The Last of Us do not allow the player to deviate from artist’s authorial control, as the games narrative is set down a path that is not based around player choices. 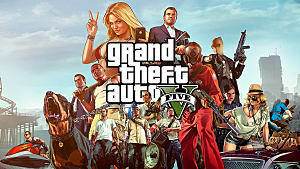 The only choices that the player can make is within the gameplay itself, as the player can choose if they wish to interact with the surrounding environment or decide which method, stealth or guns blazing, is best suited to each particular situation they are faced with. None of these choices that come into play affect the narrative outcome of the game. A complete opposite of this would be Life is Strange as the game is based purely around the player's choices. 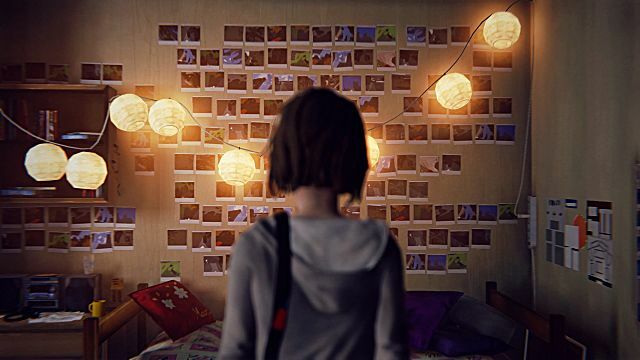 Life is Strange follows the story of a teenage girl that discovers she has the ability to rewind time. As you play through the game, the developer, Dontnod, has done a terrific job at making the player feel as if their decisions truly matter. But in reality, the player is still following the set path that the developer has created. Player's finally realize this when it comes down to the final choice, as the player must choose between saving their best friend and sacrificing the entire town or vice versa. As you read through the reviews, you will find that more than 90% of the games player base was effected on an emotional level to some extent. But who would have thought that a game that provided complete control over the story, could provoke so much emotion from it's players? As it can be seen, game developers are beginning to accept their work as a form of art. Just like previous mediums -- novels, music, comic books, etc. -- the previous generations, from the likes of Roger Ebert and Steven Spielberg, who had not grown up with video games, are having trouble grasping and may be unwilling to accept video games as a legitimate form of art. As previously mentioned, art contains two key elements, form and content. 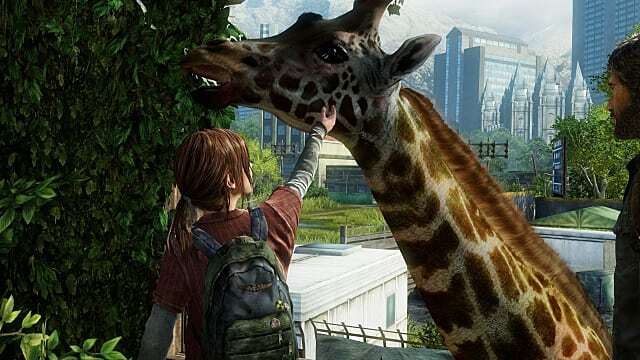 Video games, such as The Last of Us, contain aspects and qualities that easily fit into these two key elements. The Last of Us was developed in 2013 by game developer Naughty Dog and follows the story of Joel, a hardened survivor, and Ellie, a young teenage girl as they journey across a country stricken by an infectious pandemic. The Last of Us is less like a game and more so an emotional experience that will challenge everything that you know about the medium. 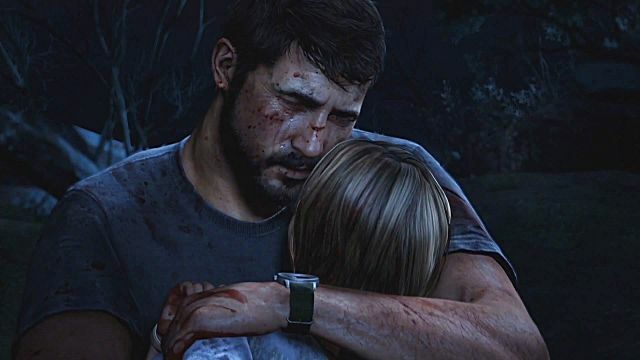 Right from the very beginning The Last of Us provides the player with an emotional punch as the game provokes such an emotional connection to the characters, which can only be found within the medium of video games. The narrative, unlike film, allows you to interact with the environment and control the characters as you witness first hand their seemly ordinary world get turned upside down. Although this may seem similar to television and films, it is anything but, as the player gets to navigate through their world, discovering the chaos that is unfolding around them. You also get to experience moments of pure fear and emotion, as you personally interact with particular event triggers. This connection immerses the player in such a way that the player feels as if they must protect the characters at all cost and their decisions within the gameplay are of utmost significance. This level of personal interaction that the player experiences is what sets video games amongst well-known forms of art as games like The Last of Us, are less like a game and more so an emotional experience that will challenge everything that you know about the medium. The visuals within The Last of Us are stunning and showcases realism at its finest as Naughty Dog have been able to craft an environment that makes the player simply want to stand still and admire their surroundings. The Last of Us uses classical art techniques to keep the player immersed into the game, as these techniques are primarily used in their level design to aid the player in knowing the direction they must travel. These techniques use a number of different methods, such as lighting and color to catch the player’s attention and visual composition that helps attract the player’s eye. Mark Brown, of Game Makers Toolkit, has created an in-depth video that discusses exactly how Naughty Dog has used these art techniques within their games. 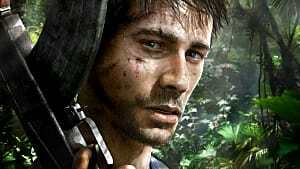 Naughty Dog would not have been able to craft such stunning graphics without having utilized the classical art techniques of painting, sculpture and architecture. The Last of Us has also utilizes the classical forms of music and literature to their fullest potential. 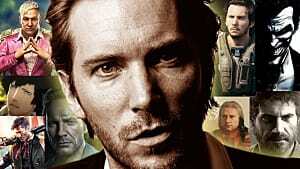 An Academy Award winning musician was even hired to compose the soundtrack for the game. As it can be seen, Naughty Dog has intertwined all of the classical art techniques mentioned earlier to help create their masterpiece, The Last of Us. After analyzing The Last of Us and video games as a whole, we can easily begin to question why video games are not among the list of official art forms. Video games have not only proven that they can provoke more emotion from the player than any other form of media, but that they also contain a number of the key elements that are needed for a piece of work to be classified as an art form. Although there is significant proof and evidence that video games do belong as a form of art, one must first remember that art is ultimately one’s own perception as there is no wrong or right way to successfully define art. 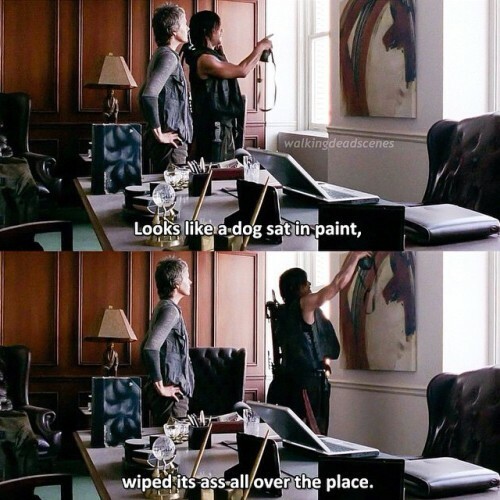 To further prove my point, this scene from The Walking Dead sums up my thoughts on what some consider masterful works of art. Roger Ebert had once questioned why gamers are so intensely concerned with defining video games as art. Roger went on to further undermine gamers by asking “do they require validation? In defending their gaming against parents, spouses, children, partners, co-workers or other critics, do they want to be able to look up from the screen and explain, [that they are] studying a great form of art?" Ebert’s statement is anything but the truth. Gamers do not have any hidden agendas for wanting video games to be classified as an official art form, the only thing that gamers are truly guilty of is wanting game developers to be rightfully recognized for their work on these forms of art. But ultimately, if art is one’s own perception, I wholeheartedly agree that video games are, without a doubt, one of the most unique forms of art that mankind has ever or will see.